Analysts are already warning of an eventual return to $100 oil. That’s a remarkable swing considering that crude crashed to just $26 a barrel barely two years ago. Others are sticking by predictions that oil prices will come back to earth soon. “Oil price volatility will continue to increase,” Damien Courvalin, head of energy research at Goldman Sachs, wrote to clients this week. Energy markets are always sensitive to conflicts that pose a threat to supply in the Middle East, the hub of global oil activity. Analysts worry that by exiting the Iran nuclear deal, Trump has paved the way for even more tension in an already unstable region. Just this week, Houthi rebels have fired missiles into Saudi Arabia, Israel has accused Iran of a missile attack on the Golan Heights, and Israel has struck Iranian targets in Syria. Outside the Middle East, production from crisis-seized Venezuela has dropped by 600,000 barrels per day. US Vice President Mike Pence called on Venezuela this week to suspend its “sham” presidential election, set for May 20. Oil traders are trying to figure out precisely how many Iranian barrels will be sidelined by the sanctions. No one knows for sure: Analysts have estimated that between 200,000 and 1 million barrels per day will be cut off. BP Capital’s Cook said that even a loss of 300,000 to 400,000 barrels could lift oil prices by another $5 a barrel. “We’re already dealing with a tight market. Demand is outstripping supply,” he said. Help could be on the way — but even that is a huge question. Saudi Arabia signaled it could be willing to shift gears and ramp up production to compensate for the loss of crude from archrival Iran. But Goldman Sachs warned that there’s “no guarantee” Saudi Arabia would completely offset the declines out of Iran. Saudi Arabia probably wouldn’t mind higher prices to jack up the value of Saudi Aramco, the state-owned oil behemoth it’s planning to take public. Even if Saudi Arabia does match Iran’s production losses, Goldman Sachs warned that would just further reduce the “relatively low level” of spare production capacity in the world. The United States, the fastest-growing energy superpower, could also step its game. This week the Energy Information Administration once again raised its prediction for US oil output for the next two years. But there are limits to just how fast the shale revolution can move. The Permian Basin, the largest oilfield in the United States, is pumping so much oil that the pipelines can’t handle it all. That has driven down prices in West Texas and helped lift global prices. “The Permian’s pain is the rest of the global oil market’s gain,” RBC global energy strategy Michael Train wrote to clients on Friday. 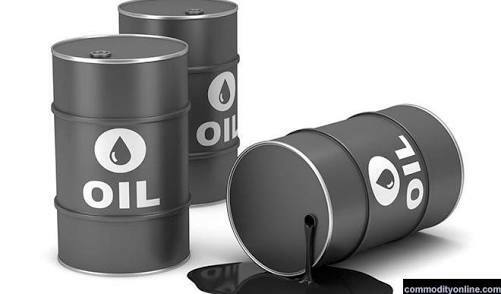 Oil’s rise could eventually be stunted by the recent strength in the US dollar, which tends to hurt foreign demand for dollar-priced commodities like crude. However, crude has stayed hot recently despite the dollar’s huge comeback. Here’s another wild card in the oil market: Trump could come to the rescue. Goldman Sachs suggested the United States could tap the emergency stockpile of oil stored in the Strategic Petroleum Reserve to make up for the loss of Iranian production. Trump released some stockpiles in August after Hurricane Harvey wiped out US Gulf Coast refineries.